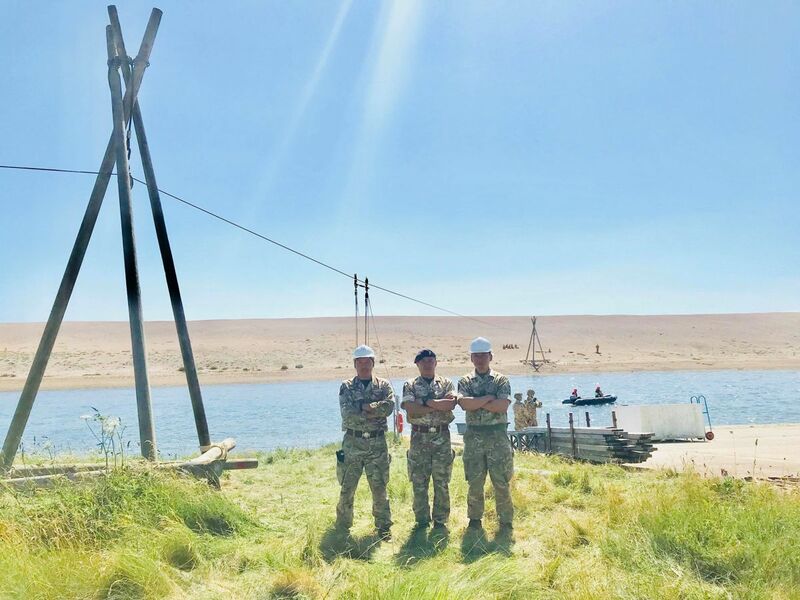 The Queen’s Gurkha Engineers (QGE) was very delighted to host Colonel JG Robinson, Colonel of the Brigade of Gurkhas (Col BG) on Exercise Pulnirman at Wyke Regis Training Area (WRTA), Weymouth, Dorset on Thursday 14th June 2018. This visit was planned to create an opportunity for the Col BG to witness the officers and soldiers from both 69 and 70 Gurkha Field Squadrons, conducting Combat Engineer Training and also understand the current commitments and issues of the Regiment. Col BG was warmly welcomed by the Gurkha Major Queen’s Gurkha Engineers (GM QGE) – Major Purnasing Tamang, Officer Commanding 69 Squadron – Major JWC Walker RE and Warrant Officer Class Two (SSM) Birendra Kambang before receiving an update on the Regiment by the GM QGE and 69 Gurkha Field Squadron update by the second in command 69 Squadron – Captain Sophie Piper and Operations Officer – Captain Govinda Bahadur Rana. Exercise Pulnirman was based on the Special to Role (StR) training as a part of Battlecraft Syllabus (BCS). 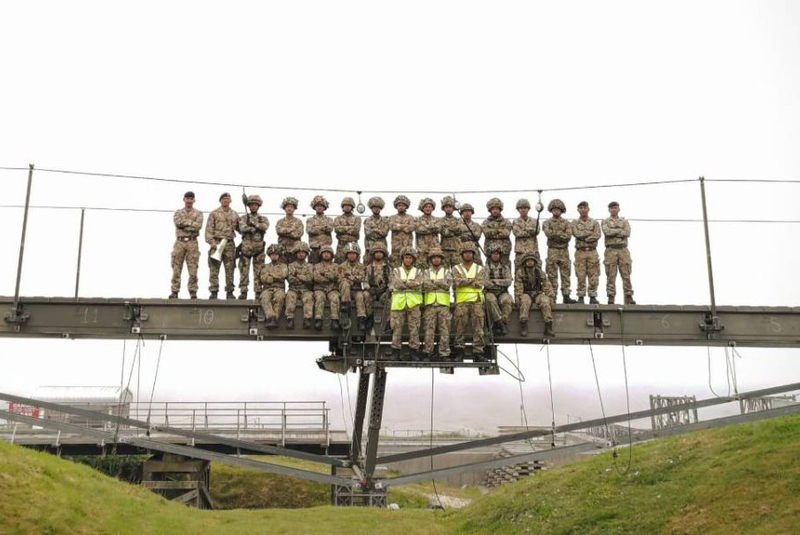 The training was involved in the construction of 12 Bay Medium Girder Bridge, Air Portable Ferry Bridge, Water Supply, Watermanship and the constructions of Ariel Ropeway (Cable car) based on basic field engineering (Back to Basic). 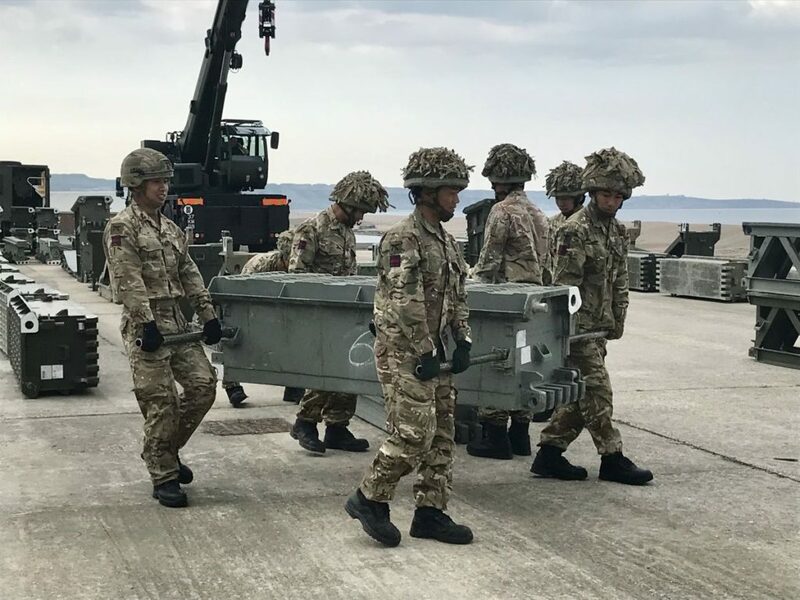 This exercise was planned by Operation Officer Captain Govinda Bahadur Rana and it has provided an excellent opportunity for officers and soldiers from both QGE Squadrons to hone their Combat Engineers Skills as well as command, leadership and management skills.